Posted in Career & Learning and tagged career development, careers, Julie Winkle Giulioni, VUCA. Julie Winkle Giulioni works with organizations worldwide to improve performance through leadership and learning. 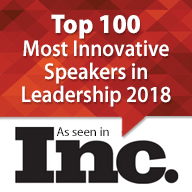 Named one of Inc. Magazines top 100 leadership speakers, Julie is the co-author of the Amazon and Washington Post bestseller, Help Them Grow or Watch Them Go: Career Conversations Organizations Need and Employees Want. She offers keynote addresses, facilitated workshops, custom webinars, elearning and microlearning solutions that deliver measurable results. Julie is a regular contributor to The Economist, SmartBrief, Saba’s TalentSpace, the Conference Board’s Human Capital Exchange, and a variety of publications and offers thoughts on leadership, career development, and more via her blog, www.juliewinklegiulioni.com. In this generation, Continuous learning is the key no matter in which industry you work. Companies that offer the tools for Career Development and encourage employees to Learn will definitely succeed. Well said, Pruvi. 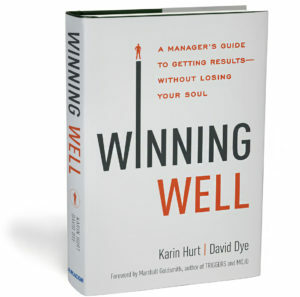 Career and employee development have really become a strategic imperative. Thanks for the comment. Watch your email later this week for an Apple download code for a free copy of the 2nd edition of Help Them Grow or Watch Them Go: Career Conversations Organizations Need and Employees Want. Enjoy! This article makes a great read and it is the case these days, career development does need to be more flexible, adaptable, transferable, and offer more choice. Long are the days where a person would stay in the same company for years. Adaptable and transferable are great terms… and really do describe how career development needs to shift to meet the needs of organizations and employees alike. Watch your email later this week for an Apple download code for a free copy of the 2nd edition of Help Them Grow or Watch Them Go: Career Conversations Organizations Need and Employees Want. Enjoy! I am trying very hard to adapt my middle management skills now that I have entered middle age. I am finding more and more that our newer employees want a TON of flexibility and career development. I struggle to find the resources for government employees, but will continue to try hard! Good for you. And you’re right. I recently read that for millennials, learning and development is their #1 most valuable benefit. Watch your email later this week for an Apple download code for a free copy of the 2nd edition of Help Them Grow or Watch Them Go: Career Conversations Organizations Need and Employees Want. It contains lots of strategies and tools to help with this challenge. Great article. In today’s environment businesses are changing at a fast pace with technology and innovation. 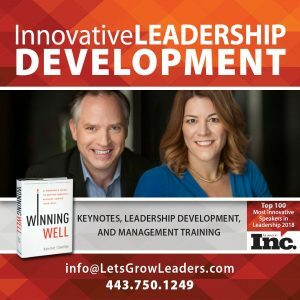 It is key to invest the same time in your personal and employee’s development to make it be as much the culture of your organization as the innovation and technological changes are. Absolutely. When we can cultivate a culture that actively supports development, it makes it much easier for managers and employees alike. I really appreciate this comment. Watch your email later this week for an Apple download code for a free copy of the 2nd edition of Help Them Grow or Watch Them Go: Career Conversations Organizations Need and Employees Want. Enjoy! Julie, thank you for a great post. I love acronyms and what you’ve created with this one: VUCA. It is especially relevant and timely as I transition from intrapreneur to entrepreneur… again! Listening to my favorite postcast — Disrupt Yourself by Whitney Johnson — a guest cited a stat. The average person will hold 20 jobs/roles in a career and will be disrupted unexpectedly four or five times. This is #4 for me. Thank you for inspiring new insights and perspective. I too love Whitney Johnson’s work… and what a powerful stat. Thanks for sharing. 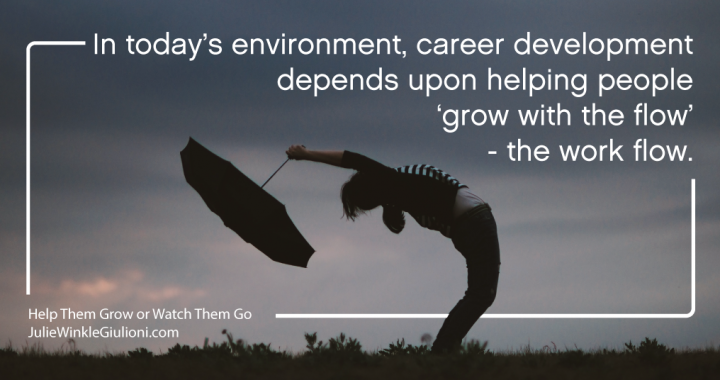 Watch your email later this week for an Apple download code for a free copy of the 2nd edition of Help Them Grow or Watch Them Go: Career Conversations Organizations Need and Employees Want. Enjoy! Thank you for this article! We can’t always show our employees the exact path that their development will take them down, but we can help them be ready for whatever next opportunity comes along the way. This requires patience, understanding, and hard work from both the manager and the employee – but that’s what the leadership investment is all about! You are so right, Colleen. Managers and employees must partner to enable growth day-to-day in service of current needs as well as the future ones that may not even be on our radar screens. Thanks for your comment. Watch your email later this week for an Apple download code for a free copy of the 2nd edition of Help Them Grow or Watch Them Go: Career Conversations Organizations Need and Employees Want. Enjoy! Following the VUCA model will not only make our organizations better for our team members, it also prepares us for the adaptability required to respond to our changing customer expectations. It all starts with development of the team. Thank you for tackling this important topic. I couldn’t agree more, Jason. As customers, markets, and competition continue to shift, being able to respond agilely will only become more important. Watch your email later this week for an Apple download code for a free copy of the 2nd edition of Help Them Grow or Watch Them Go: Career Conversations Organizations Need and Employees Want. Enjoy! Being Versatile in key to career development. Opportunities come in all forms; meaning not all growth positions will be upward moves on the corporate ladder. Some opportunities may take the form of a lateral move that will ultimately project ones career in a whole new direction. Being flexible, willing to learn new things and being open to new challenges is the way to succeed. It’s a “win-win” when companies reward internally those colleagues willing and able to flex/stretch themselves into new positions. You are so right, Yvonne. And some opportunities come in the form of NO move… rather, inviting new challenges and experiences into the envelop of one’s current role. And you’ve touched on an important point around how organization’s recognize and reward this kind of growth that may be less visible than tradition promotions. That’s the next frontier we need to take on. Thanks for reading and for the comment. 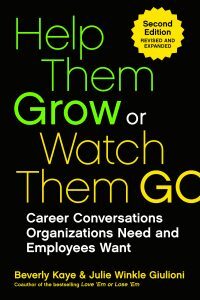 Watch your email later this week for an Apple download code for a free copy of the 2nd edition of Help Them Grow or Watch Them Go: Career Conversations Organizations Need and Employees Want. Enjoy! Excellent points! And what a VUCA world it is for career development! Providing learning opportunities to help employees grow into multi-purpose players with well-developed multi-purpose skills, is critical for success in both public and private employment sectors… definitely a case for “Help them Grow or Watch them Go…” For many, remaining actively engaged in today’s environment of constant change and innovation is difficult…but the resulting growth is well worth the hard work required by both leader and employee. One key to that success is being clear that growing multi-purpose skills is not the same as multi-tasking… Bottom line, though, is that even when a door to new growth opportunities is opened, the responsibility for walking through that door ultimately remains with the employee. I love this distinction, Wendy, between multi-purpose and multi-tasking. You are so right. Cultivating the skills and versatility to be able your contribution potential also enables the ability to pivot and respond to changing conditions. But, this frequently requires laser-like focus. Thanks so much for the insight. 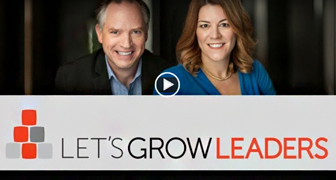 Please watch your email later this week for an Apple download code for a free copy of the 2nd edition of Help Them Grow or Watch Them Go: Career Conversations Organizations Need and Employees Want. I work in the local government sector. Public Safety Communications (9-1-1 Administration) to be specific. Maintaining employees is a nationwide crisis for many reasons. One that I had previously identified is the static career path that you described. However, I had never thought about it as colorfully as you put it. In directing First Responder’s we often rely on GPS, so the choice-filled option description is very apropos, and I intend to use it as we push for changes in our strategy (thought-change in government is often very slow and difficult). Our organization is very innovative from a technology standpoint, but can truly apply this innovation to the people side of business. Thank you for sharing.